Claudette J. 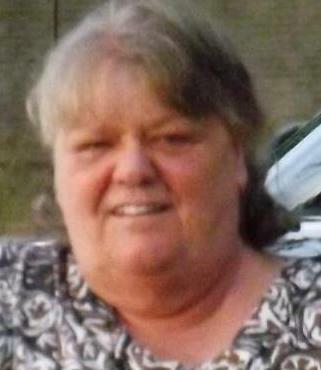 (Levesque) Hennessey, 65, of Fall River, passed away Friday, January 18, 2019. A mental health worker for Taunton State Hospital for 25 years, she also worked at Paul A. Devers School and Crystal Springs. She always loved the water in her younger years. She enjoyed taking her sons fishing and she loved cooking; one of her specialties was French meat stuffing. She was tech savvy and enjoyed her computer, but most of all she enjoyed spending time with her family, especially with her grandson Victor. She is survived by two sons, Michael Hennessey and Brian Hennessey both of Fall River; a grandson Victor Hennessey of Fall River; a twin sister, Colette Benoit and her husband Roland of Wareham and a sister, Lorieann Maloney of Maryland and many nieces and nephews. She was the sister of the late Edmond Levesque and the daughter of the late Edmond E. and Muriel (Michaud) Levesque. A celebration of life will be held Thursday, January 31 from 12:00 PM to 1:30 PM at Bailey's Surf and Turf, 3056 Cranberry Hwy, Wareham, MA 02538. In lieu of flowers, please consider assisting the family in the funeral arrangements through Crowd Funding at AuclairFuneralHome.com. Online guest book at AuclairFuneralHome.com.